Tiny flakes falling through the trees, making that distinct pitapat sound of snowdrops landing on crisp frozen leaves below. But wait, the sun was shining and there wasn’t a cloud in the sky. An assembly of Redpolls overhead, hungrily teasing seeds from the tree’s cones were creating a shower of snow-seeds. I followed along ever so quietly as the flock moved from tree to tree, expertly pulling the cones apart for the small kernel held within. Returning several times to the same trail and hoping to catch sight again but, with most of the cones gone, so too were the Redpolls. The Common Redpoll is a species of finch with a distinct crimson cap that looks like a mini French beret, giving the song bird a bit of a rakish appearance. Their small yellow bills evolved to eat small seeds, such as those of thistles and birches. 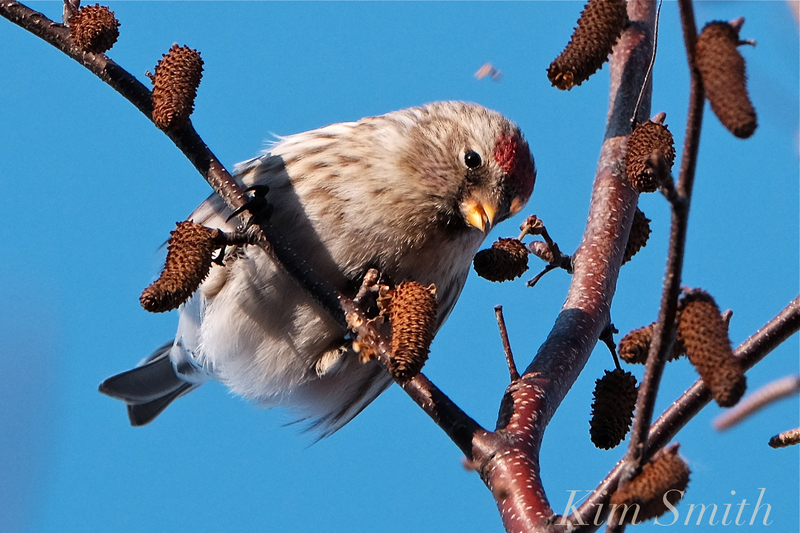 Some studies show that in winter Redpolls subsist almost entirely on birch seeds. Common Redpolls have been known to survive temperatures of -65 degrees below and even sleep at night in snow tunnels that can be up to a foot long. Redpolls nest in the Arctic tundra; we only ever see them during the winter months. 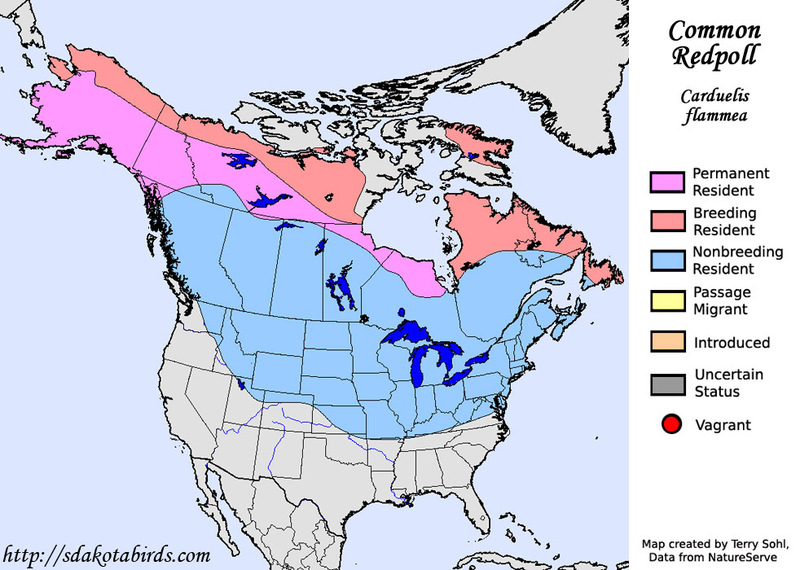 This entry was posted in Birds, Birds of New England, Cape Ann Wildlife, Life at the Edge of the Sea, Native Plants and tagged Alder, Alnus, beautiful Birds of Massachusetts, Betula, birch cones, birch seeds, Carduelis flammea, Common Redpoll, Cranes Beach, finches, Ipswich, seed, The Trustees of Reservations on December 20, 2018 by Kim Smith.